Young children are exceptionally impressionable, which is why it is crucial to set good examples early on. 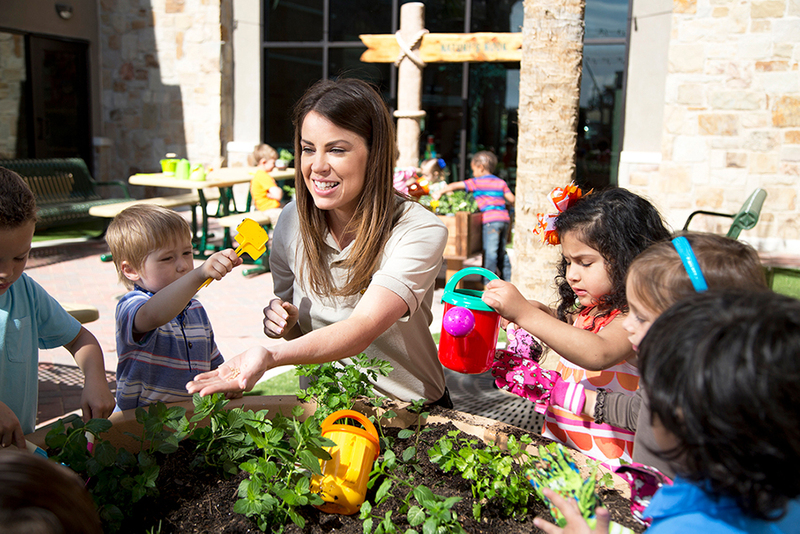 Children’s Learning Adventure in Maricopa teaches their students to make healthy lifestyle habits and be responsible for their choices through fun, exciting, and rewarding learning activities and interactions. Children’s Learning Adventure believes it’s important to provide a fun, positive, and engaging atmosphere for their students. They offer innovative lesson plans and enjoyable learning activities that are developmentally-appropriate. Children’s Learning Adventure creates a welcoming and nurturing environment that encourages parents and families to be actively involved with their children’s learning experiences throughout the year. To encourage a healthier way of living, Children’s Learning Adventure curriculum introduces beneficial habits such as better food choices, exercise, hygiene, and safety practices to lay the foundation of lifelong healthy living. Children’s Learning Adventure also works hard to ensure that each of their campuses is clean and well-maintained. A clean campus promotes a healthy environment for both their students and staff members and affects health and learning. In addition to creating a healthy learning environment, children are taught how to develop lifelong well-being skills through physical activities. Equally important to a child’s well-being and health is their motor development. At Children’s Learning Adventure, children experience a variety of meaningful, physical activities in a climate controlled indoor gym and outdoor play area. Children develop socially and physically as they interact with peers and teachers daily, building understanding of team and individual sports. CEO Rick Sodja states “Children begin developing healthy habits early on. We believe it is important to implement hands on experiences into curriculum when teaching children about creating healthy habits.” One way this is done at Children’s Learning Adventure is through their interactive learning experiences provided by Nature’s Nook. This classroom was designed to provide each child with a hands-on experience that leads him/her to a greater understanding of nature and all it has to offer. Exploration of nature provides opportunities to learn about plant cycles, gardening, and the different seasons. Children’s Learning Adventure in Maricopa is holding an open house on Saturday, Nov. 10, 2018. Families can stop by any time between 10 a.m.-1 p.m.
To learn more about Children’s Learning Adventure in Maricopa please visit http://www.childrenslearningadventure.com/day-care-maricopa .